As a new year begins, millions of webmasters and bloggers begin to search for new ways to optimize their content and improve their websites’ performance in search engine results. There are plenty of basic, tried and true ways in which you can improve overall performance in these areas – some are free, while others require extensive investment. Whatever your case may be, you are relatively likely to be a WordPress user, due to its wide array of features and a customization backbone that allows it to become virtually anything you can imagine. Various SEO and content management plugins have been designed for use with WordPress, but how can you get the most efficiency from these and which ones are the best? In the following article, we will discuss the most recommended plugins for WordPress with SEO potential that you should be using in the new year. Many people consider the WordPress SEO plugin to be as essential as WordPress itself, and they’d be correct. This utility provides you with a variety of different active and passive optimization tools to ensure that your pages are indexed properly and are pinging your website in search results. Users will be able to preview how their content will appear in search engines, inspect alt tag options easier and overall, ensures that your content is exactly as it should be to please any and all search engines. The WordPress SEO plugin is a free download and is seriously the first plugin that you should install to any new or existing instance of WordPress. Another way to ensure that SEO is ideal on your blog or website is to utilize a WordPress plugin such as RB Internal Links, which can be found on the WordPress site for free. This utility can help users ensure that all of their internal links are in order and that all pages are properly connected to one another. One of the biggest reasons that budding blogs and websites fail is due to a lack of inter-connectivity, which leaves search engine spiders and crawlers without ample ability to index all content. This will also allow users to link to posts and pages on their blogs using short code and will remain valid even if the link structure of your website is changed in the future. Last but not least, Gravity Forms is a premium solution for WordPress that can handle virtually any task that involves form creation and content management. Users of this plugin will find that pinging your website with basic contact forms, MailChimp integration and email routing features are all incredibly easy, meaning that you can spend more time creating actual content. Oh, and Gravity Forms can help with that, also. Users can create forms that will generate content in the form of posts or pages on your site. A variety of back-end options are also included to help you save time when populating such information to multiple WordPress instances. You can download this plugin for a mere $39 from the developer. 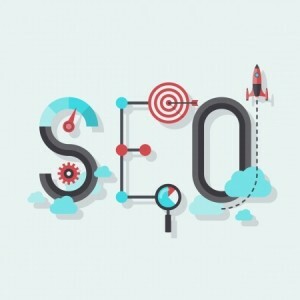 I would like to have WordPress SEO. I highly rate it because of its performance. I created my first WordPress blogs a year ago, and use WordPress SEO by Yoast in all of my sites. I love how easy it is to use, and how it help me with seo. I experimented with a few before I found WordPress SEO. I think it is the best out there!